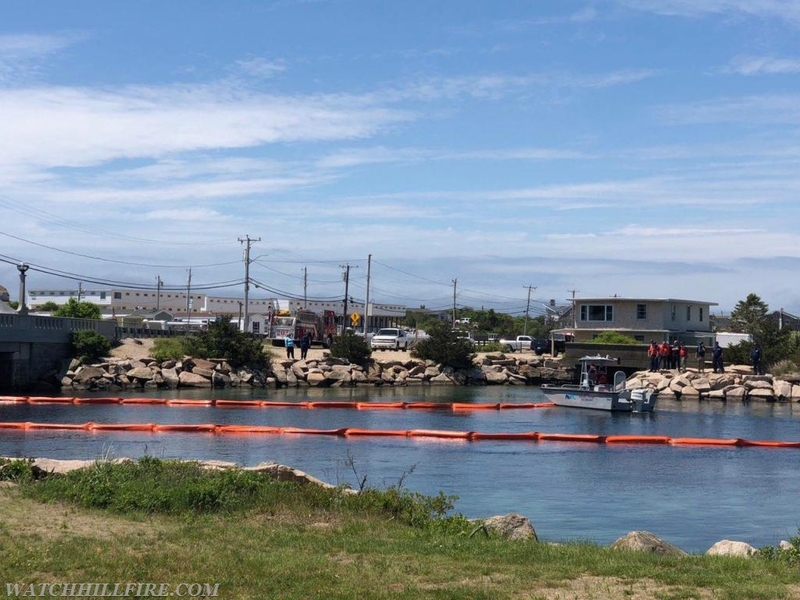 WHFD personnel have been participating the last 2 days in a full scale exercise with the Coast Guard, DEM, and other federal, state, and local agencies including the Misquamicut Fire Department. 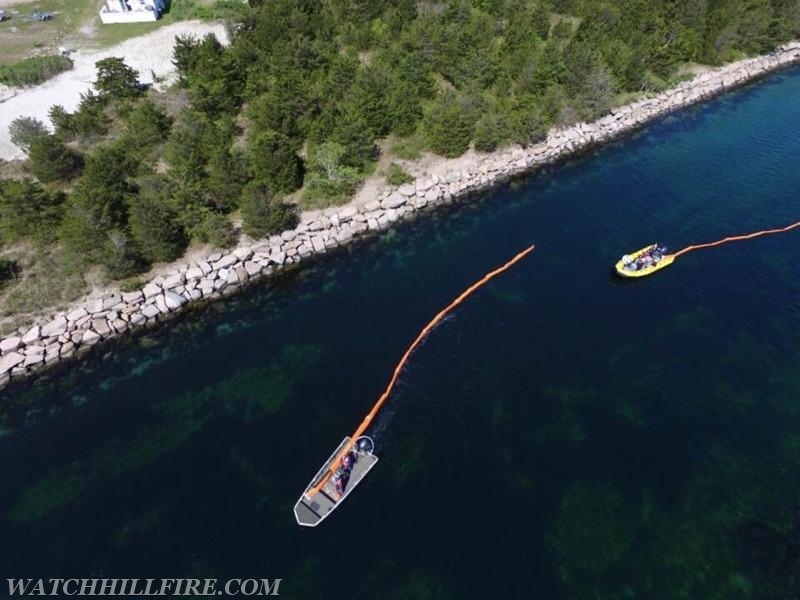 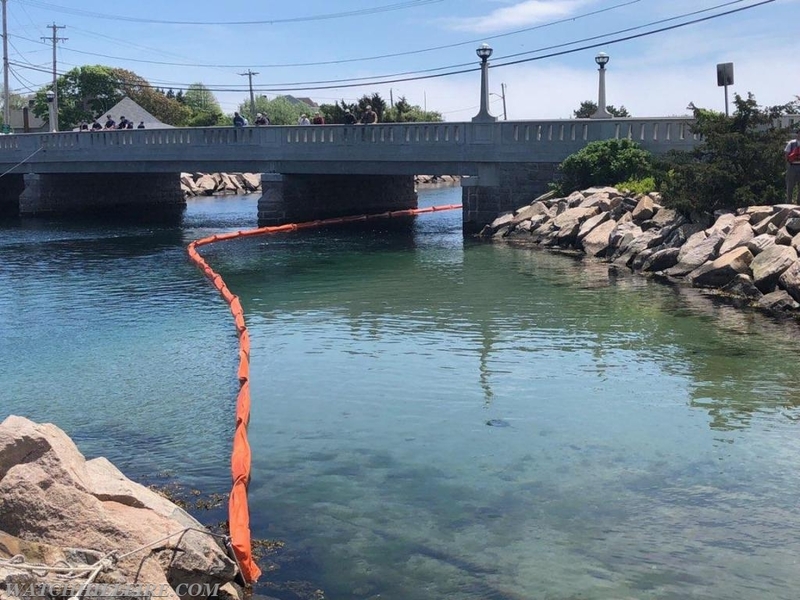 Here, members are seen assisting in deploying booms to contain the would be oil spill on the Weekapaug Breachway. 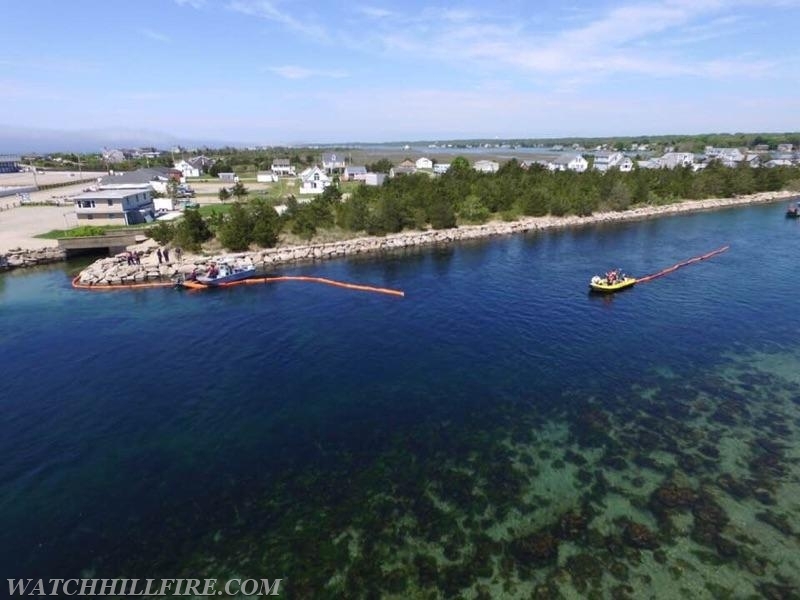 We appreciate being included in such training drills and are always working to be even better prepared should a real world event occur in our area.